Societe Generale has just named Sascha Bock as its newest Managing Director of its Corporate Finance Team in Germany, whose responsibilities will be to handle a multitude of sectors. 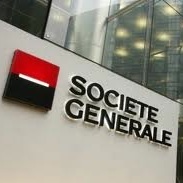 Societe Generale has been one of the more active movers of executive personnel in recent months with shakeups to several components of its business, including M&A, Chinese operations and its FX business in London. Mr. Bock’s appointment is effective immediately and he will be based out of Frankfurt in his new role. In addition, his tasks will focus on the real estate sector, among other avenues.